After drawing flak from the public for its insensitive demand to the family of the Sengkang bus accident victim to submit a ‘proposal’ to its management to pay for the repatriation of the body back to Malaysia, SBS Transit flip flops and say it will not pay for all expenses related to the funeral. 66 year old Madam Chan Ah Yong was crossing a junction in Sengkang on Tuesday morning when a SBS bus driven by a PRC driver ran over her, dragging her body beneath it for half a minute before killing her on the spot. Madam Chan was from Seremban, Malaysia and the family wants the funeral to be held in her hometown where her father and two brothers live. However, when her two daughters asked SBS Transit if it can foot the bill for sending her body to Malaysia, they were told to submit a proposal instead. “But when I asked them on Tuesday, they told me to submit a proposal to their management,” Ms Kenix Lau, the younger daughter of Madam Chan said in response to queries from the media. In a stunning U-turn, SBS Transit’s senior vice president for corporate communications, Tammy Tan, now says the company will foot the bill for the funeral. The company has since contacted Mdm Chan’s son-in-law to inform him that all costs related to the funeral will be borne by the bus operator. “We know nothing we do or say can change the fact that a life has been lost and a family is in grief. We can only say we are very, very sorry and will do whatever we can to assist the family during this difficult time,” Ms Tan said. Perhaps SBS Transit can review its long-standing hiring policy of recruiting drivers from China to prevent any more unnecessary deaths like Madam Chan’s from occurring in the future again. Sengkang accident: Family of victim to sue SBS Transit for compensation? SBS Transit has requested the family of accident victim Chan Ah Yong, who was brutally killed on the spot when a SBS bus driven by a PRC driver ran over her on Tuesday morning to submit a ‘proposal’ to their management to pay for her body’s repatriation to Malaysia. When her two daughters asked SBS Transit if it can foot the bill for sending her body to Malaysia, they were told to submit a proposal instead. According to insider information, the PRC driver responsible for the accident was new and came to Singapore only six months ago. As usual, SBS Transit has put up a veil of silence to deflect public criticisms of its mishandling of the entire saga. The family of the victim 66 year old Madam Tan Ah Eng who was killed when a SBS Transit bus ran over her yesterday morning when crossing a junction in Sengkang has not ruled out suing SBS Transit for compensation! 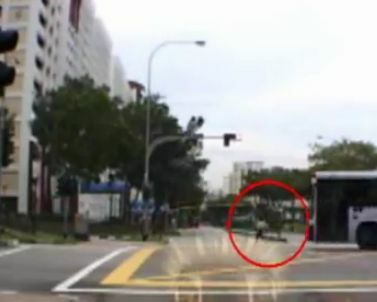 In a video clip taken by an in-house car camrecorder by a taxi-driver, the bus was seen turning right and running over Madam Tan without stopping, dragging her body beneath it for half a minute before a motorist called the driver to stop. SMRT holding recruitment drive in city of Nanjing, China? Any driver who just knocked down a pedestrian will appear to be in a state of shock, but not the SBS Transit PRC driver who did not look a bit distraught in the aftermath of the tragic accident at Sengkang yesterday morning in which a 66 year old woman was killed on the spot by the turning bus when crossing the road. In the video, the victim’s lunchbox in pink plastic bag was left on the road. She was reportedly dragged for a distance before a motorist on a bike horned at the bus driver to stop. 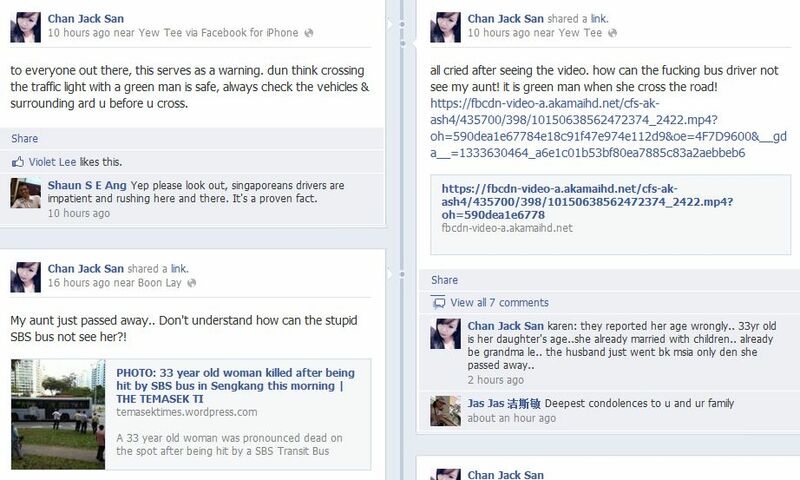 Chan Jack San, a niece of the deceased 66 year old Singaporean aunty who was ran over by a SBS Transit bus yesterday morning in Sengkang, has called on Singaporeans to cross the roads carefully. The Straits Times reported the driver spoke in a Chinese (PRC) accent asking the passengers to disembark from the bus after the accident. However, both SBS Transit and the state media have refused to divulge his name and nationality so far. SBS Transit said it is ‘very saddened’ by the incident and extends its deepest condolences to the family of the victim without explaining the causes behind the shocking accident which took Singapore by storm, thereby still leaving many questions unanswered. A shocking accident happened yesterday morning in Sengkang where a SBS Transit bus simply ran over a 66 year old woman crossing the road when making a right turn, dragging her under the bus for half a minute and killing her on the spot. He was obviously ‘dreaming’ as the brake lights were not even on after he hit the woman. He appeared to be calm and composed when he was led away by the traffic police. It is not known if he has been arrested for dangerous driving. SBS Transit has so far refused to divulge the name and nationality of the driver. It has been actively recruiting drivers from China in the last few years due to ‘shortage’ of local workers. 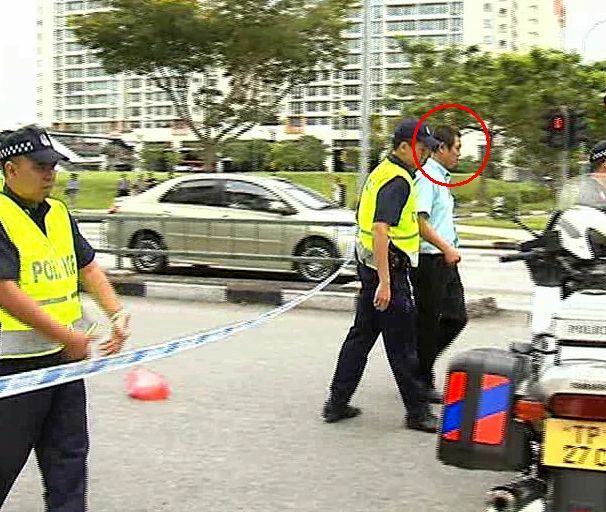 The tragic accident at the junction of Sengkang East Way and Compassvale Road this morning was recorded by a passer-by. It showed a 33 year old woman crossing the road when the traffic was flashing a ‘green man’. (In the earlier part of the video, another woman can be seen walking across the junction at the opposite side). 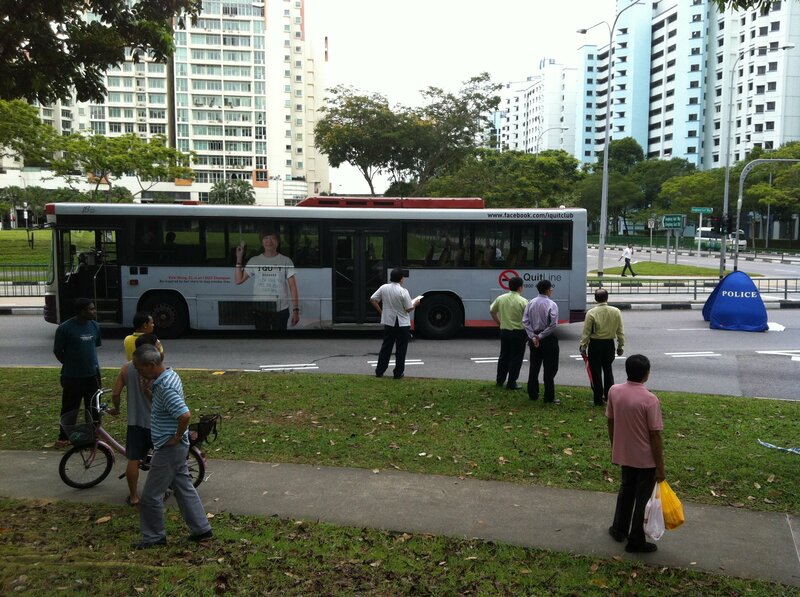 A SBS Transit Bus Service 159 made a right turn and simply ran over the woman without stopping to allow her to pass. The woman was reportedly dragged under it for nearly HALF A MINUTE MORE under the bus before other motorists alerted the bus driver to stop. According to the Straits Times, the bus driver told the bus passengers in a Chinese (PRC) accent to disembark the bus two to three minutes after the bus had stopped. For some strange reasons, his identity was not revealed and it is not known if he has been arrested by the police for dangerous driving. A 66 year old woman was pronounced dead on the spot after being hit by a SBS Transit Bus service number 159 this morning. The accident happened at about 11.20am at the junction of Sengkang East Way and Compassvale Road. The woman was reportedly knocked down at a pedestrian crossing when the bus was making a right turn and was dragged for a distance.